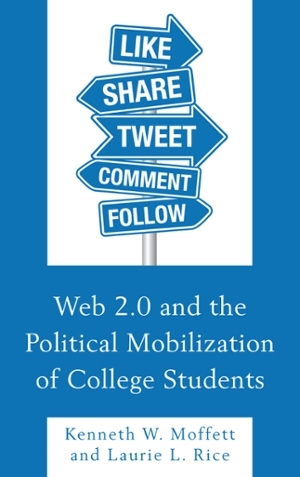 Southern Illinois University Edwardsville political science associate professors Ken Moffett and Laurie Rice have authored “Web 2.0 and the Political Mobilization of College Students” just in time for the stretch run in this year’s political races. Faculty members in SIUE’s College of Arts and Sciences, Moffett and Rice investigate how college students’ online activities, when politically oriented, can affect their political participatory patterns offline. The authors find that online forms of political participation, such as friending or following candidates and groups as well as blogging or tweeting about politics, draw in a broader swathe of young adults than might ordinarily participate. Political scientists have traditionally determined that participatory patterns among the general public hold less sway in shaping civic activity among college students. This book recognizes that young adults’ political participation requires looking at their online activities and the ways in which these help mobilize young adults to participate via other forms. Moffett and Rice discover that engaging in one online participatory form usually begets other forms of civic activity, either online or offline. The book is available through independent publisher Rowman & Littlefield and is part of the Lexington Studies in Political Communication series.